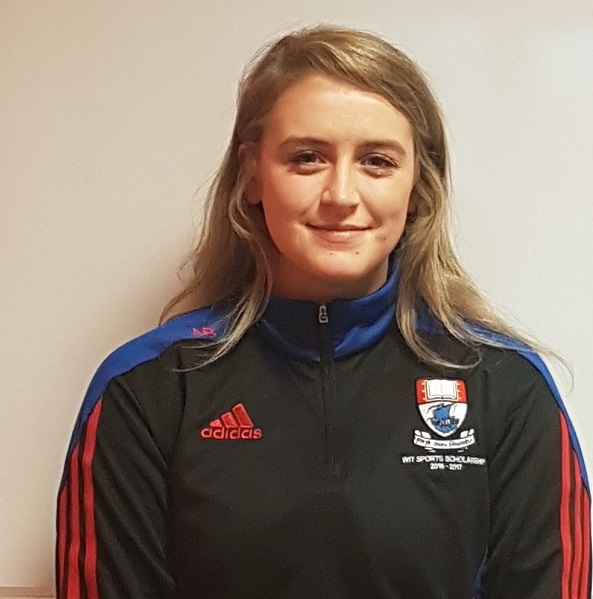 Third year, BA (Hons) in Exercise and Health Studies student, Aine, was awarded a Sports Scholarship along with 79 students who were recognised for their contribution in 12 different sports this year at WIT. Gold Scholarships are given to those students who are excelling in their sport and competing at the highest level in their sport. Silver Scholarships are usually awarded to those students already in the college. Students receiving Silver Scholarships will have demonstrated their potential and commitment to their sport and WIT Club and will be competing at a high level. Bronze Scholarships are open to all sports and are generally given to prospective and new students on entry to WIT. This Scholarship is also available to students who have completed first year in college and have demonstrated above average potential and commitment to a WIT sports club. Emerging Talent Scholarships aim to support talented students who have shown potential in there sporting careers to date. The programme is a one year programme for first year students and it is aimed at helping the student progress in their academic studies and sport through the wide range of support services on the scholarship programme. Sports Recognition Scholarships are one of most recent scholarships which was established to recognise outstanding WIT student athletes who have shown huge commitment to sport in WIT and who have also played a leading part in the development of Clubs and Societies life here in the college.